From all the movies I had ever watched, my perception of an internship wasn't glamourous. I expected to be making regular coffee trips, stressed and doing all the little jobs that the employees didn't want to do. However, an internship at Studio Agency was far from this. It was an internship of a lifetime and the best experience that far exceeded my expectations. I came into this as a way to hopefully cure my confusion about what I want to do with my life. Throughout this experience I never did any coffee runs, nor was I stressed and I was actually doing things that would help me in the future. The girls here are so supportive and regularly check in with you to see how you are going and ask you what you would like to learn. You do real tasks that help the business and learn from people who are so passionate about what they do. This experience could not have been more inspiring and I could not recommend and internship at Studio enough! 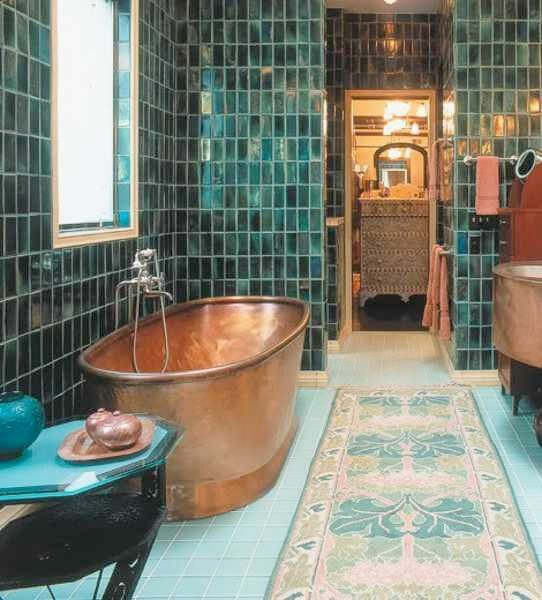 We have all seen those envious photos online of gorgeous bedrooms filled with lush potted plants. However, plants are not always as easy to look after as you'd think - especially if you're super busy! Here at THG we love indoor plants. They can completely change the look and feel of a space, making you feel more at ease and added bonus - they help you breathe better too. Therefore, we have put together a list of the perfect indoor plants for you busy gals out there who may not have time to give it all the TLC it needs but still want the vibe in your favourite space. String of pearls are also known as rosary string of beads and are actually considered a succulent. That means that they are ideal for busy gal's as succulents require such little care. We recommend hanging them to showcase the draping beads. As indoor plants go, peace lilies are some of the easiest to care for. They will immediately brighten any space and are well known for their ability to clean the air of the room they are in. Maidenhair ferns come in so many varieties and sizes that there is sure to be one to suit your space. They look beautiful in a range of pots or can be hung to let the foliage drape and add a bit of extra dimension. Snake plants are super resilient as it can go weeks with neglect. Like the peace lily they are excellent at removing toxins from the air. Additionally, there are so many varieties and sizes so picking one to suit your space shouldn't be a problem. Global warming is in full effect in Brisbane this week. Temperatures have soared into the 30s and we are all definitely feeling the heat… and it's only November!! Surviving this kind of humidity is certainly a skill so here our top 5 tips for beating the heat. A super quick and easy way to quickly cool yourself down is with a popsicle. These bad boys are so simple to make and there are endless combinations to suit your tastebuds. One of our favourite and super refreshing combos is watermelon, lime and ginger. See recipe below. Dubbed the 'it' drink for the Aussie Summer, what better way to cool down and enjoy the weekend with your new favourite cocktail. See recipe below. Pour rosé into 33x23cm pan and freeze until almost solid. Meanwhile, bring sugar and 1/2 cup of water to a boil in a medium saucepan' cook, stirring constantly, until sugar dissolves, about 3 minutes. Add strawberries, remove from heat, and let sit 30 minutes to infuse syrup with strawberry flavour. Strain through a fine-mesh sieve into a small bowl (do not press on solids); cover and chill until cold, about 30 mins. Scrape rosé into a blender. Add lemon juice, strawberry syrup and 1 cup crushed ice and purée until smooth. Transfer blender jar to freezer and freeze until frosé is thickened (aim for milkshake consistency), about 25-35 mins. Blend again until frosé is slushy. Divide among glasses. We are so lucky here in Brisbane as we have access to so many beautiful beaches. Go for the day or even the weekend and enjoy the cool water. Another way to beat the heat is to dress appropriately! Wearing the wrong clothing can make you agitated so here are some of our favourite THG outfits to keep you cool. It’s a Sunday afternoon, the sun is out, and you’ve got a refreshing mojito in your hand, surrounded by a group of talented gal-pals. What a perfect setting for my favourite type of gathering, a crafternoon. Here are some foolproof ideas that would suit from a beginner to a seasoned crafternooner. 1. The super easy and super effective tassel garland! This one is always a winner; all you need is assorted colours of crepe paper and metallic foil paper, scissors and some brown twine. Begin by cutting the paper into long strips that are about 2-3cm wide and as long as double the length of your desired tassel (i.e. 10cm tassel means 20cm strips). Lay all of your strips out in their own colours (or you can make multi coloured if you prefer) grab the half way point and wrap it around a long piece (total length you are after) of twine then fasten the strips by wrapping a small piece of twine around the head of your new tassel and knotting. Easy as that, now continue making them until you reach your desired amount/combo of colours. Here are some pictures of how we would style ours. This project required a little foresight with the preparation but these pressed flowers are a beautiful way to preserve the magnificence of nature in your home. If you don’t have glass frames, this project is still very effective in a regular frame backed with white card. All you need to do is gather a bunch of wild flowers, or old flowers gifted to you (mustn’t be large blooms as they don’t press well, think small flowers and foliage), place flowers inside a heavy book and place a large weight on top of the book – leave for one to two weeks in a cool dry place. Once dried, place flowers in your frames and voile – done! You’ve all seen them, they look fab, now you can make one of your own! I have tried a few online tutorials for this project and this is the best video I found, it really takes you through step by step, it looks a little more complicated than some other versions, but trust me it pays off in the end. This DIY should take you about 1-2 hours to complete. All you need is a few bundles of rope, either in a neutral tone or multi colours, you can buy this is craft shops and hardware stores. You will also need assorted bolts/beads, D-ring and a hook, all of which are available at your local hardware store. Here is a picture of my finished product and some other (more) inspiring versions! We LOVE polaroid pictures here at Studio Agency and what we love even more is displaying them! We’ve put together some cool DIY ideas that you can do at home to spice up your bedroom or living room and create a beautiful memorable display. After all, home is where the heart is. It is where we rest, love, grow and entertain – it is an environment that can shape and influence your outlook on life. For inspirational spaces we look at cozy, luxurious fabrics such as velvets, knits and faux fur for furniture/soft furnishings to give your space a warm inviting feel. We also love printed rugs, personal artworks and thrifted eclectic tables and chairs. Plants are also an amazing addition to your space, not only do they look great and create a more intimate environment but they purify the air, improve productivity and help keep illness at bay! And Voila! Your space can be your dream home just like that. Chester Street Bakery – Voted Brisbane’s best place for desert! If you’ve got a tea party organised or a birthday coming up, then this is the place to come if you want to impress or surprise your guests! They’re SO good! Secrete Trees Coffee - This is a hidden gem, tucked away in the backstreets of Robertson, serving sweet treats, excellent espresso and out of the ordinary specialty drinks. Their specialty drink is fairy floss suspended over a cup of long black whilst dissolving into your cup! Their milkshakes are also served with a fairy floss top in flavours like lime, caramel, strawberry or vanilla raspberry. YUM!! Flourish Superfood Café: Decked out in a shipping container this amazing little place will fill you up with the best Acai Bowl in Brisbane! Nestled up James Street, serving nourishing eats like acai bowls, smoothies, juices and raw treats this has to be your go-to for a quick and easy healthy option on the go. Her signature bad-girl minimalism has taken the platforms on social media by storm. Her dreamy and strikingly beautiful looks are undoubtedly mesmerizing and it’s no wonder Dior Beauty wanted her as the face of their brand. The 19-year-old sister of supermodel Gigi Hadid has become a modelling force in her own right, with high profile runway appearances in New York and Paris, as well as on the Grammys Red Carpet with boyfriend The Weekend. You can’t help but admire this gorgeous genetically blessed beauty and we are just loving her timeless style! With the winter months rolling in quickly it’s the perfect time to nail your laying to not only keep toasty but look great. With so many fabrics, textures, cuts and colours it can feel over whelming but don’t fret. 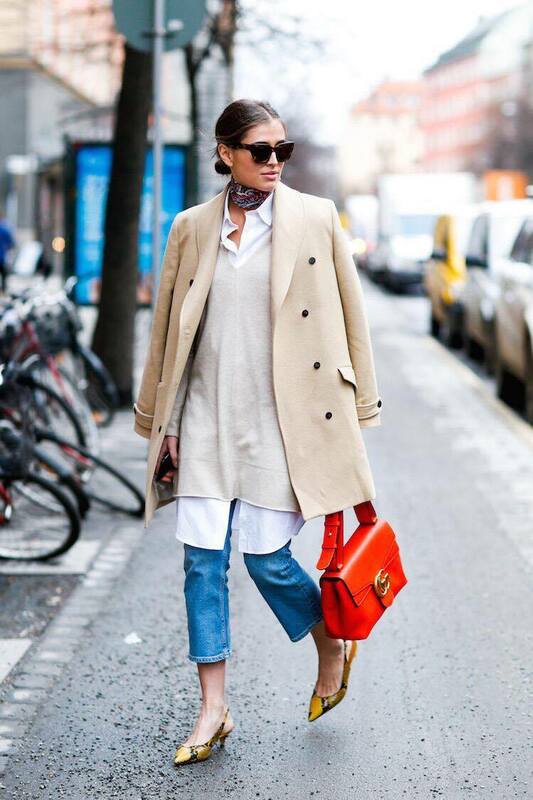 Check out some of these layering combinations for some serious inspo for winter. Festival season is well under way and that means camping! It usually is a very unfashionable time that involves a lot of mud, dirt and mess! Well we have decided this year we are going to dress up our campsites boho style and here are some tip we have for you to do the same. 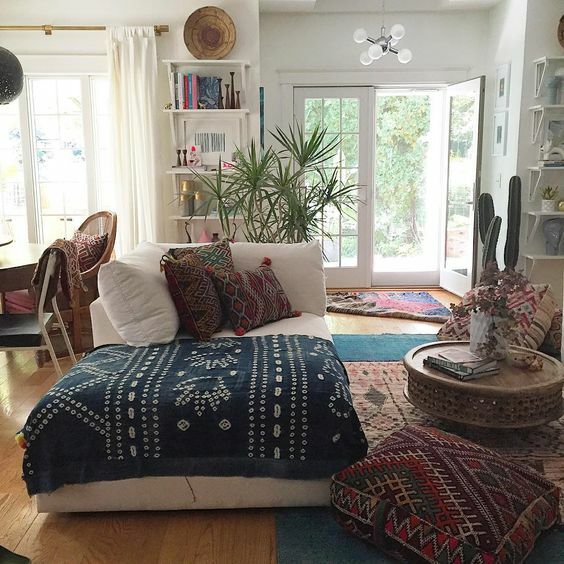 Bring some fake plants to add life, colourful rugs and sheets to hang up, lots and lots of cute cushions and pillows, candles and then finally good vibes. Best Met Ball Party Pics! This year's Met Ball is here and we are loving the fashion that has come with it. The Ball has become on of the most watches, and envied, events of all time! What we are also looking forward to is the after-party and behind the scenes shots! Here are some past celebratory shots from inside Met Galas from the past! The first weekend of Coachella was a mix of flower crowns and festival styling but of coarse we couldn't keep our eyes off the hair and make-up trends. We loved Kendall's high glitter buns and Kylie's rainbow braids! Our fav girls were also all sporting Kylie's new Coachella inspired lipsticks! Then there was the beautiful Vanessa Hudgens who mixed braids, curls and feathers together for one of the best Coachella hairstyles ever!!! If you’re yet to hear of Maja Wyh we do suggest flicking over to her Instagram and taking a little peek. 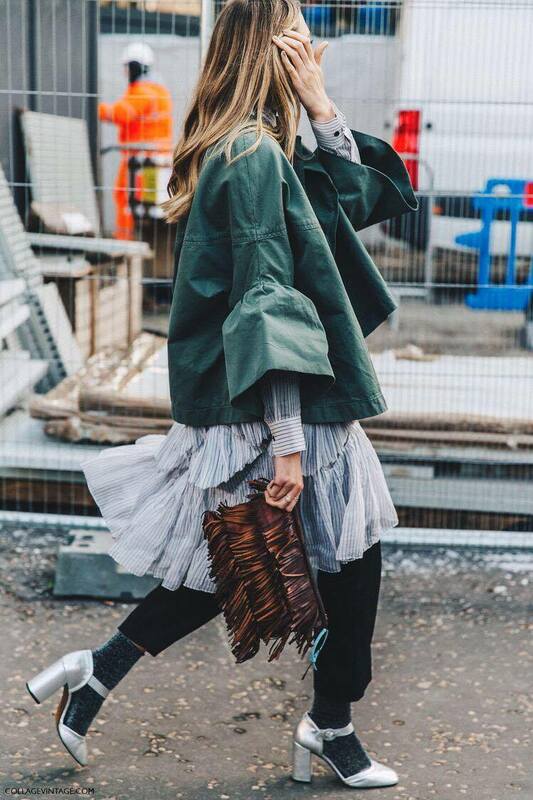 The ultimate Winter style inspo, this German fashion blogger is the layering queen, with her signature style fusing both vintage and designer fashion together with bellowing shirts, oversized coats, furs, and lots of Denim. Are you looking for the trendiest piece of the season? Then the knee-high boots are made for you! With either high or low heels, in leather or suede they are the must-have accessory. Boots are an absolute staple for any girl's wardrobe, paired with a mini skirt or slip dress for a super cute look! If you’ve ever watched television, you’ve probably come across homegrown beauty and boho babe, Phoebe Tonkin. The 26-year-old first captured our hearts on H20: Just Add Water, and Vampire Diaries, but her popularity doesn’t end with sci-fi obsessed teens. Working alongside brands such as Chanel and Free People, Phoebe has become the ultimate clotheshorse, amassing a fan base of well-respected designers and publications. She has since graced the covers of fashion magazines such as Elle, Vogue, Girlfriend, and Dolly. Coachella is kicking off this festival season so we have decided to let you girls know the latest and greatest trends to make you festival ready! One of the biggest trends right now is glitter and lots of it! Sprinkle it in your hair, face or really anywhere! This is such a fun and cute idea you are your girlfriends can go crazy with! Another trend we love is lace and crochet outfits! Our Toby Heart Ginger Bohemia Wrap Set is perfect for this trend. Braids in your hair and felt hats are also musts for any festival! We have some adorable ways to make perfect use of your bedroom space. From the cutest bedspreads to hanging fairy lights! Adding a beautiful white canopy above your bed will make you feel like you're sleeping in the clouds! Here are some bedroom #inspo we just can't get enough of. It's Easter time and that means long weekend!!!! What better way to spend this time then with a secret getaway. We are talking going high up into the mountains and finding a magical treehouse to spend the whole weekend at relaxing. Here are some secret locations we are dying to get to this weekend. We have already blogged about how much we are loving indoor plants but lets be real, plants are so hard to grow! We have decided to help you girls out by putting together a list of the perfect plants to grow indoors. 1. Pothos- Hands down the prettiest plant. Requires no effort at all, simply keep in water and they will grow like crazy. They also make for perfect hanging plants. 2. 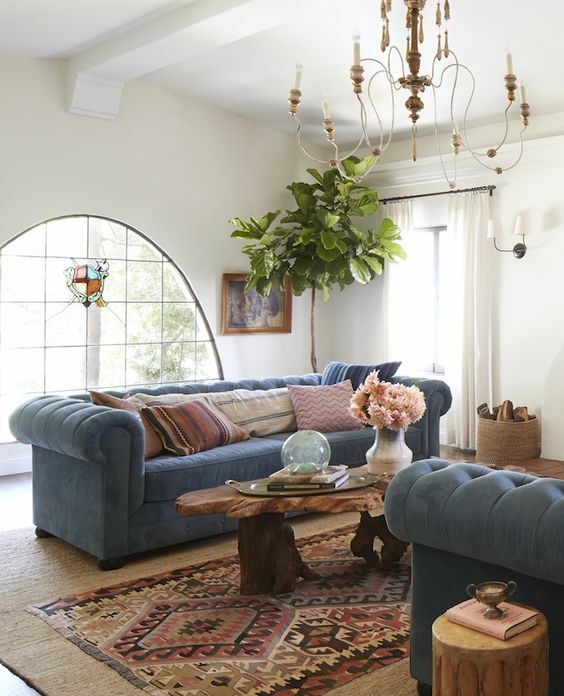 Fiddle Leaf Fig- These guys have so much character and bring life to any room. Also another great bonus is that they only need water when they are looking dry yay! 3. Rubber Plant- Now this is our kind of plant, they only need water for half the year. Also terracotta pots work so well with showing off the plants glossy green leaves, really makes them POP! 4. Succulents- Require no effort at all and are almost impossible to kill. Such an adorable plant we really can't get enough of them. Fashion Week has just kicked off in New York City and the most fashionable people in the world have stepped out on the streets to be snapped by the street style photographers. As they rush from show to show, presentations to after parties we can catch a glimpse of them through the lens.. here is a round up of the best looks so far.